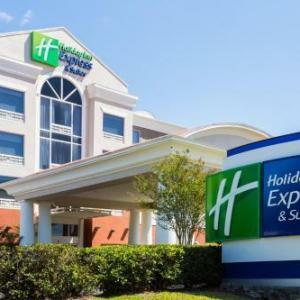 Located just across Highway 201 and a 2-minute walk away from the venue, the Holiday Inn Express Hotel & Suites is among the most convenient of the Florida State Fairgrounds hotels. Tuck into the complimentary breakfast here to steady your stomach before indulging in the fried fair food. 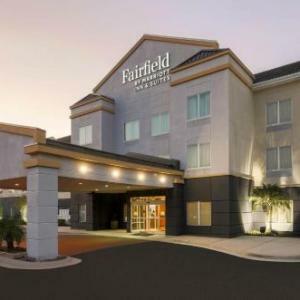 Relax into the pillow top mattress, and enjoy easy access to the nearby highways throughout your stay. l Cecil "Good customer service; comfortable beds; quiet rooms." 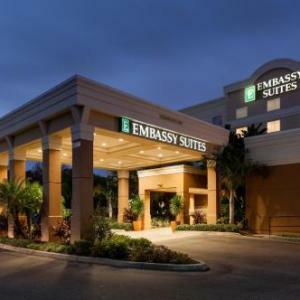 You'll feel well taken of at the Embassy Suites Tampa - Brandon, where you'll find a microwave and a mini-fridge in your room, and an outdoor pool outside of it. Sit back in the on-site restaurant, and enjoy easy access to the shop at Westfield Brandon, as well as the Memorial Gardens, both less than 2-miles away. 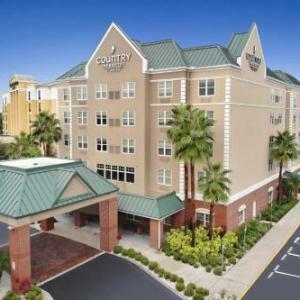 This hotel is within 15 minutes' drive of the venue. 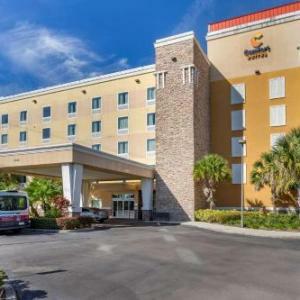 With the Florida State Fairgrounds just 3-miles to the west and the Seminole Hard Rock Hotel & Casino nearby, too, you'll be in the heart of the action when you stay at the Sheraton Tampa East Hotel. 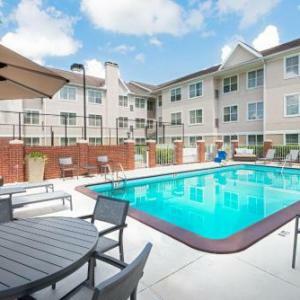 Relax in the outdoor heated pool, kick back in your well-appointed room, or let off steam in the fitness room. 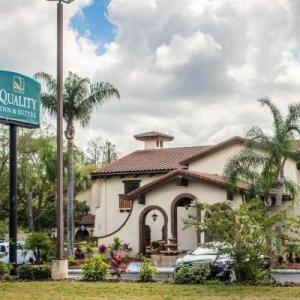 You'll find all of the amenities you need at this excellent hotel. 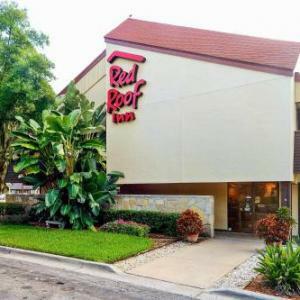 l Ron L "This hotel was very clean and the staff was friendly. They were remodeling but it was still a nice place." l Bobby "We enjoyed our stay at the hotel, this weekend; everything was great - room, food, friendly staff,..."
l Karen "Staff was friendly. Rooms and general area were clean. Like the updated color scheme." l Grace A "Rooms were clean and worth the price. We partied till 4:30 in the morning and not a single complaint. Will definitely stay here from now on!" 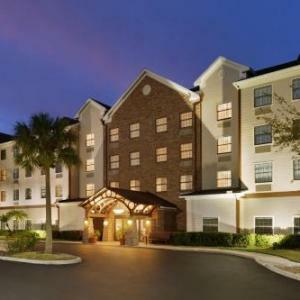 l Patricia C "Very cozy, clean, great breakfast bar"
Looking for some things to do near Florida State Fairgrounds? 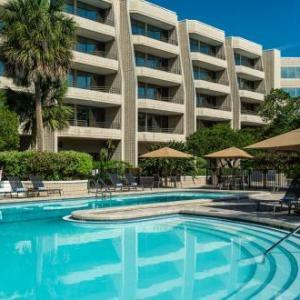 Click to view our full listing of bookable activities in Tampa! What's the surrounding area like? The area surrounding the Florida State Fairgrounds is mostly fast food joints and residential neighbourhoods. However, the grounds themselves hold multiple attractions, from the MIDFLORIDA Credit Union Amphitheatre to Cracker Country, a living history museum - all in addition to the event that's brought you there. How can I spend the day in Tampa before heading to a concert? Around 20 minutes from the venue by car, Busch Gardens is one of the biggest attractions in Tampa, drawing visitors from around the world. The roller coasters here will satisfy the thrill seekers in the family, while the many different types of animals on display are intriguing for all to observe. Live shows are put on throughout the day, so check the schedule to find your favourites. The Lettuce Lake Regional Park provides ample opportunity to lap up a true taste of the Florida landscape. You can do everything from bird watch to kayak here, as well as picnicking, fishing, playing on the playground, or simply taking it all in as you walk the nature trails. Also 20 minutes' drive from the venue. Ever since Unit 4 of the Big Bend Power Station has been in operation, manatees have flocked to the unit's cool discharge waters, naturally turning the area into a sanctuary. You can watch the gentle giants swim before heading inside to piece together old manatee bones, step into the centre's hurricane simulator, and visit the beautiful butterfly gardens. 20-30 minutes from the venue by car. Sure, you've tried Thai food, but have you tried it while strolling a market housed in a temple? That's what you'll get to do when you visit the Wat Mongkolrata Temple on a Sunday. Thai food vendors will compete for your business while you browse dishes you didn't even know existed, but will be glad to discover. 10-15 minutes from the venue by car. Where are the best places to eat and drink near Florida State Fairgrounds? 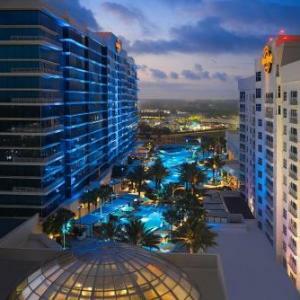 The Council Oaks restaurant at the Hard Rock Hotel and Casino is Zagat-rated for a reason. On the menu is juicy steak and fresh seafood, all prepared in a beautiful exhibition kitchen, where you can see your food go from grill to plate. If this doesn't strike your fancy, choose from many more Hard Rock eateries, including the Hard Rock Café itself, the sushi bar, Rock N' Raw, the buffet at Fresh Harvest, Rise Bakery & Kitchen, or the Noodle Bar at Jabao Place. Less than 5 minutes' drive from the venue. If you're in a rush and are just looking for a quick fix before heading into the fair, Nana's & Papa's Pit Stop Subs, located just across the street from the fairgrounds, is the way to go. And it's not just subs on the menu - wraps and salads can also make for the perfect lunch. Danny's All-American Diner may be easy to miss from the outside, but you want to make sure you don't. With out-of-this-world shakes, fries, onion rings, and you guessed it, mouthwatering burgers on the menu, you'll be glad you made the 5-minute drive from the Florida State Fairgrounds. Billed as a "food drink lab," Edison offers creative and compelling food and drink experiments to patrons who like taste bud adventures. From potato-crusted oysters to drinks with names like, "Ol' Donkey," and "Smashed Rickey," you'll want to sample it all. Unlike our other picks, Edison is located closer to downtown Tampa, about a 10 to 15-minute drive from the Florida State Fairgrounds. Any other important information users should know? It's hot and humid here, so make sure to pack your sunscreen and plenty of water. More general info is on the visitor website. What's the best way to get to Florida State Fairgrounds? While there are some public transport options, they each require a fair amount of bus time, transfers, and walking. It's probably best to drive, but you can check out your possible route at the Hillsborough Area Rapid Transit website. There is parking available for each event, but just which lots will be open varies from event to event, so you'll want to check with your ticket issuer for precise details. Spots can be located and booked ahead of time through the Fairgrounds' ParkMe app, available for iPhone and Android. What kind of food and drink can visitors expect? You'll find all of the typical "fair fare" here, from funnel cake to hot dogs and deep fried everything. The only exceptions to this are cultural events, which will provide their own diverse range of food and drink. There are many events throughout the year, and the gates open at different times for all of them. Check the event website for precise opening and closing times. Liked: Bathrooms; clean; parking - not bad for a sold out show. Disliked: Ticket line needed more help. Attended Keisha and Pitbull concert. Had a blast. Pitbull was awesome as usual! Liked: Had a great time.